The team here at J&M Refrigeration know exactly what it takes when it comes to providing a serve over fridge or serve over chillers for your food business, be that a small shop, café or restaurant. Our range of serve over chillers can also be used in butchers and bakeries. We offer several types of serve over fridges, each of which can perfectly suit your business requirements and needs. Check out our full selection below. Our flat glass serve over fridge counters allow your stock to be easily seen by your customers and all while keeping them refrigerated to your required temperature. This is of much more benefit to your business than a traditional fridge as it allows people entering your store to more easily see your stock. This, in turn, increases the likelihood of them completing a purchase – if your customers cannot see your produce how can you expect them to make a decision on what it is they want to buy? Similar to the flat glass counter, the curved glass serve over chiller is a little more out there, a little more stylish, yet it still offers the same about of visibility for your stock. Like all over products, our curved glass serve over fridges can be purchased in a range of sizes and design to ensure they fit perfectly in with the decoration and floor plan of your business premises. As well as your regular business do you also cater for events and functions? Our mobile serve over fridges allow you to easily transport food and drinks and also to easily display what you have on offer once you arrive. Again, available in a variety of shapes and sizes you can rest assured if you are looking for a serve over chiller to use on the move that J&M Refrigeration have the ideal type of serve over fridge for you. While fridges and chillers are normally bulk by nature, we offer a sleek range for those business owners looking to save room in what perhaps could be a business property of limited space. Built to fit through a standard doorway without any fuss, our slim serve over fridges still offer an area of a substantial size for you to display the items you have on sale. A slim serve over counter is not a compromise on display space, you save space from a thinner exterior rather than interior. The selection we offer allows your business to make a statement as soon as a customer walks through the door. You can showcase your firm’s purpose and each of our serve over refrigeration units with a counter can be easily maintained and serviced thanks to our 24/7 nationwide provision. 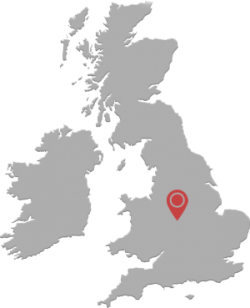 For any further information on our collection, or to discuss any of our other refrigeration products do not hesitate to get in touch with our experienced team by either going to our contact us page or by calling us on 0121 544 0555.